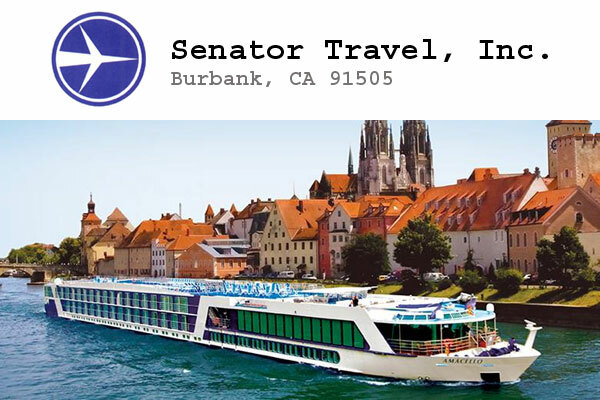 Founded in 1983, Senator Travel is a travel agency in Burbank, California. Specialize in corporate travel, cruises, honeymoons, escorted or customized land packages and discounted international airfares. Senator Travel Inc provides all it’s clients with the greatest travel value possible, from air and ground arrangements around the globe including meet and assist accommodations, customized vacation packages tailored to each clients needs, to travel reporting and data management. Senator Travel’s international staff can communicate in 10 different languages including English, German, French, Italian, Spanish and Portuguese.